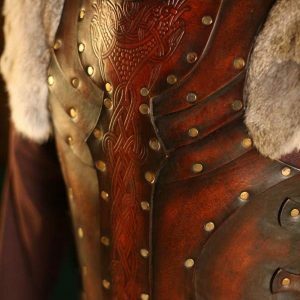 Designed by Black Raven Armoury founder Alex Agricola, the Corsair SCA Leather Body Armour. Comes adorned with a stunning center panel covered in nordic art flanked by 10 ribs to complete a highly distinctive appearance. 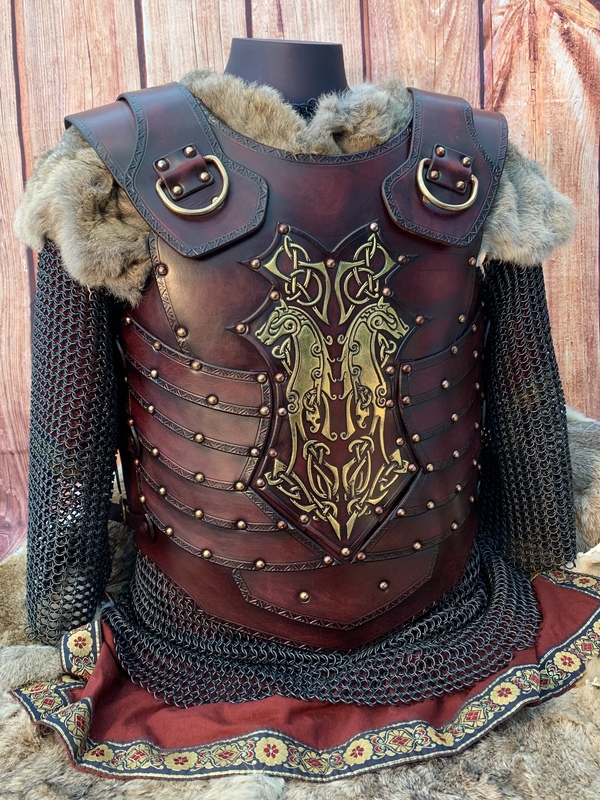 The Corsair SCA Body Armour is formed to a practical shape suitable for combat comfort and will fit chest sizes ranging from 40 – 46 inches (99 – 115 cm’s)formed from premium grade top grain Veg Tanned leather (laminated to a minimum 6mm thickness). 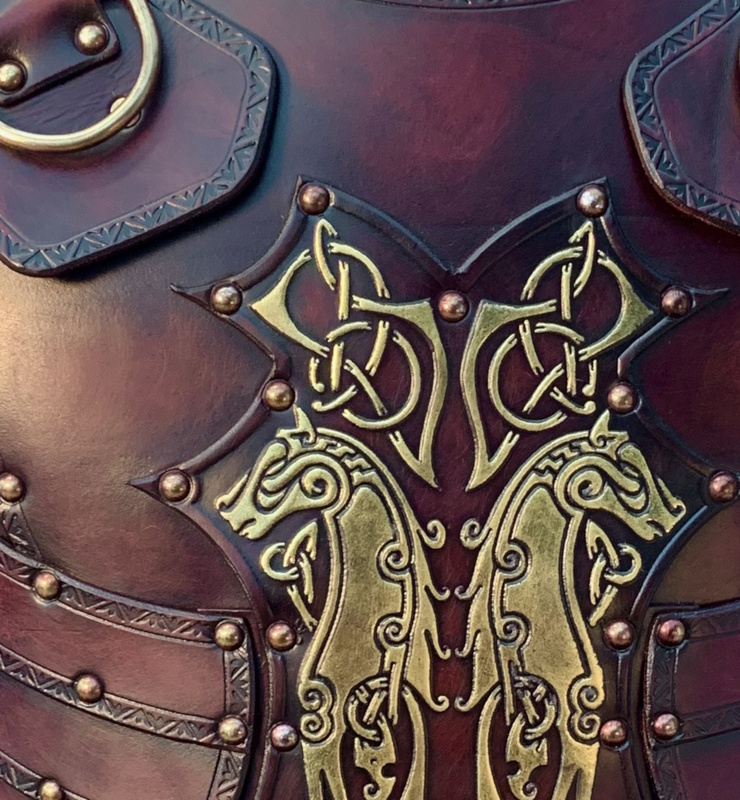 The Corsair SCA Body Armour is hand built to the highest standards by Black Raven Armoury’s master armorsmiths from the very best quality vegtable tanned leather. 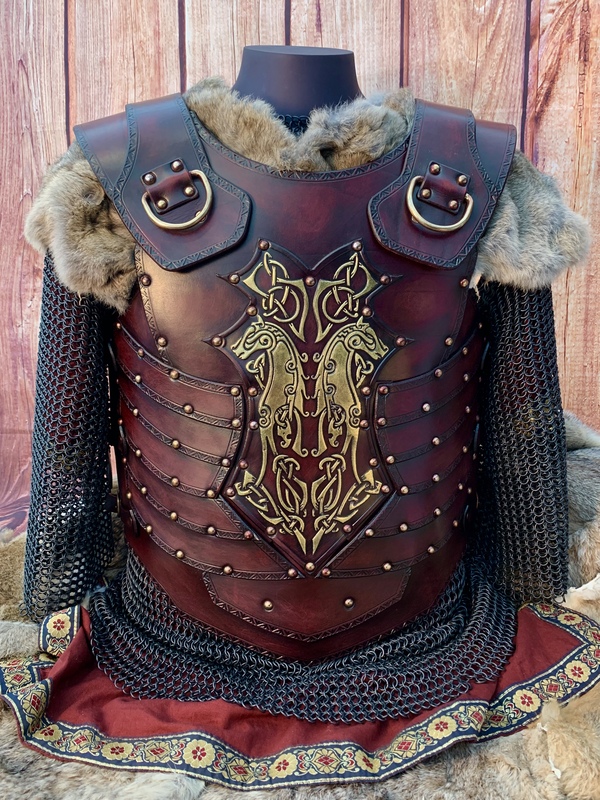 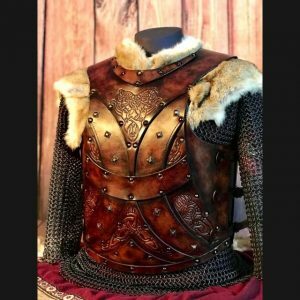 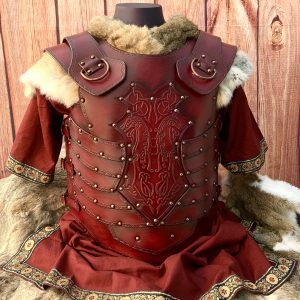 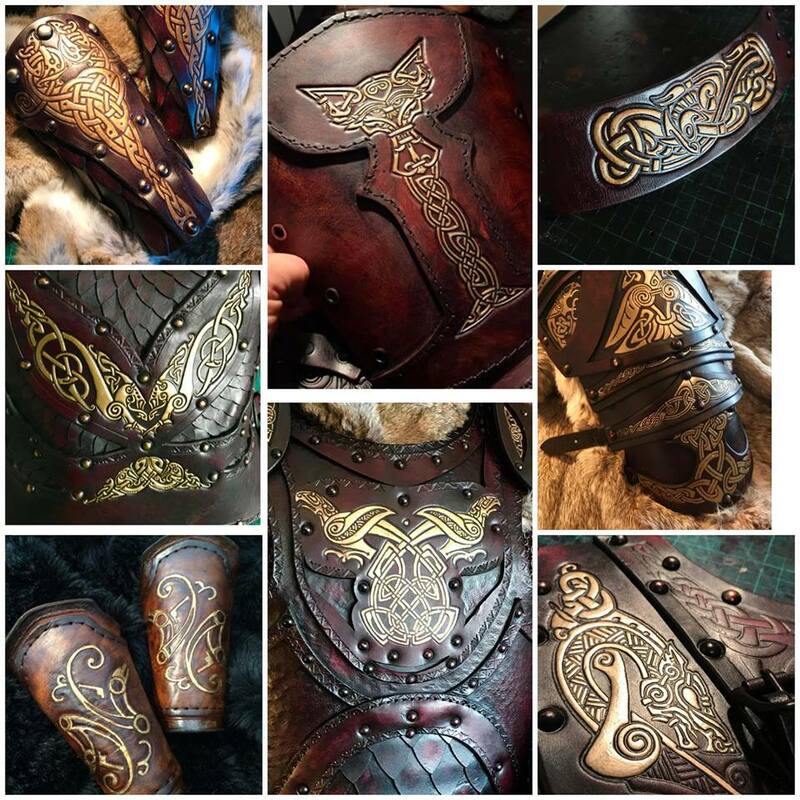 This armour has been hand cut, hand embossed, riveted, dyed, antiqued , has a large center panel of embossed art and considerable detailed edge embossing. 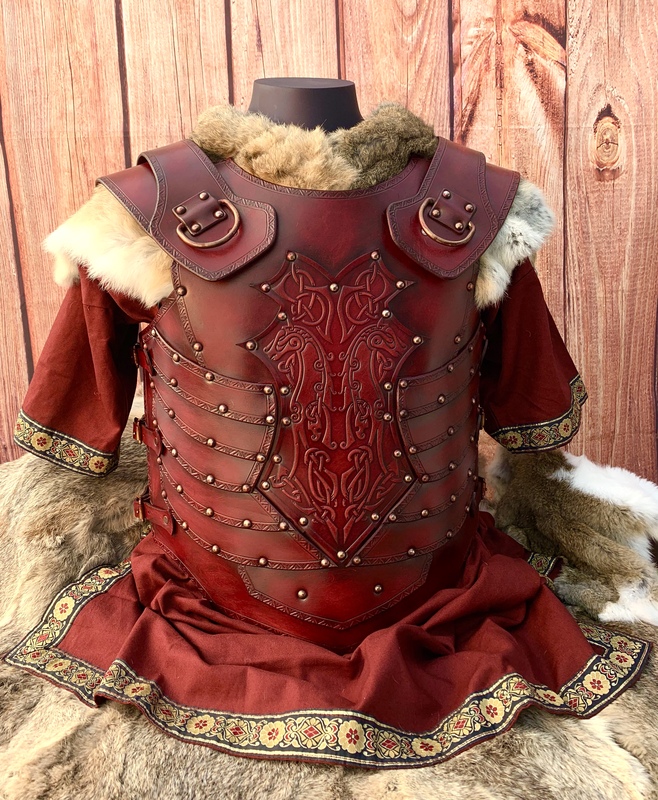 The Corsair SCA Body Armour is formed to a practical shape suitable for combat comfort and will fit chest sizes ranging from 40 – 46 inches (99 – 115 cm’s) formed from premium grade top grain Veg Tanned leather (laminated to a minimum 6mm thickness)..